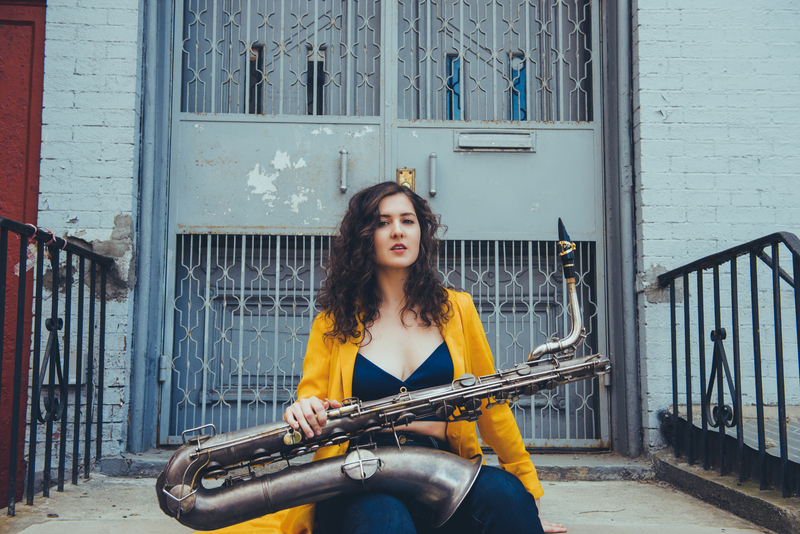 After dedicating her first album to her heroes, baritone saxophonist/ bass clarinetist/ flutist Adison Evans turns to her inner self for inspiration. The result is far more cohesive in style and mood. Whether due to the Tuscan countryside where Adison now lives or increased confidence, Meridian reveals a more intimate yet assertive aspect of Evans’ music. A preference for a more lyrical approach pushes Evans along pensive melodies reflective of her new environment. Her group is very congenial and delivers a convincing performance, vigorous but full of subtleties. Of note is tenor/alto saxophonist Troy Roberts’ empathy with Evans and pianist Silvano Monasterios’ taste for selecting the right notes – quality over quantity. The album opens with a contemplative saxophone/ piano duo, leading to the brief, almost anthemic theme of the title tracks. “Owl People”, co-written by Evans and Roberts, is more rhythmic, yet maintaining an introspective mood. Evans’ baritone solo sets the pace, followed by Roberts and trumpeter Mat Jodrell picking up Evans’ lead, bassist Joseph Lepore and drummer Roberto Giaquinto providing supple complement. “Prelude/ The Plunge” builds on and furthers the pastoral aura, rapidly shifting into a bouncing theme. Henry Mancini’s “Two for the Road” adds a more traditional ballad atmosphere, saxophones weaving above the thin layer provided by the rhythm section. “Komorebi” is the most original piece, unfolding within a bossa nova flavor on the notion of a wave of “sunlight filtering through leaves of trees”, as Evans herself describes it in the notes. “The Parking Song”, another Evans-Roberts collaboration, comes across as a parentheses with its upbeat, mid ’60s blues feeling introduced and closed by parking voices and noises. “Monkey Mind” brings a funky beat after a beautiful a cappella intro by Evans and bouncy piano solo. “Cote d’Azur” returns to the lyrical mood, with thoughtful solos by Jodrell and Evans. Jimmy Heath’s “Serpent’s Tooth” concludes this most pleasant album on a high note, pointing to Evans’ clear potential.